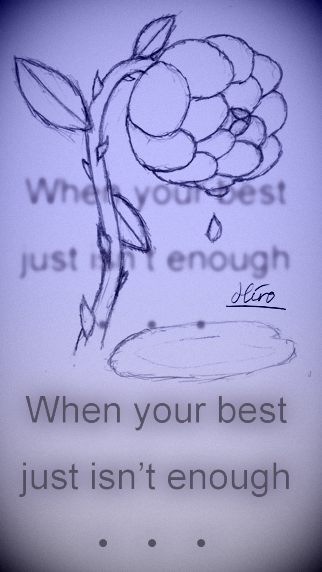 Stray Scribbles - "When Your Best…"
It is Emiko again, but with a slight edit to the hair. Now it has more of a side part than before. Hoping to get that up for next week’s big picture. Been a bit busy with other stuff than drawing (I know, terrible eh!). But Seminars are behind me so for the now I can do a bit more drawing hopefully. But there are plenty of reasons to be sad in everyday life if you think about them..